You are here: Home / All Recipes / Paleo Friendly Recipes / Beef / Red Meat / Homemade Beef Jerky: In with the yummy – Out with the nasty! Yummy, right? Except I dare you to find some at the store that isn’t absolutely LOADED with a crazy amount of all sorts of chemicals and nasties. Sugar, Corn Syrup, Caramel Color, Soy Sauce, Monosodium Glutamate, Fermented Soy Beans, Maltodextrin, Hydrolized Corn Gluten (REALLY? ), Potassium Sorbate, Sodium Erythorbate, these are some of the ingredients that are commonly listed on packages of beef jerky. I know you can find good quality, all natural jerky out there, but it isn’t that easy a task, especially not in my part of the world, apparently. 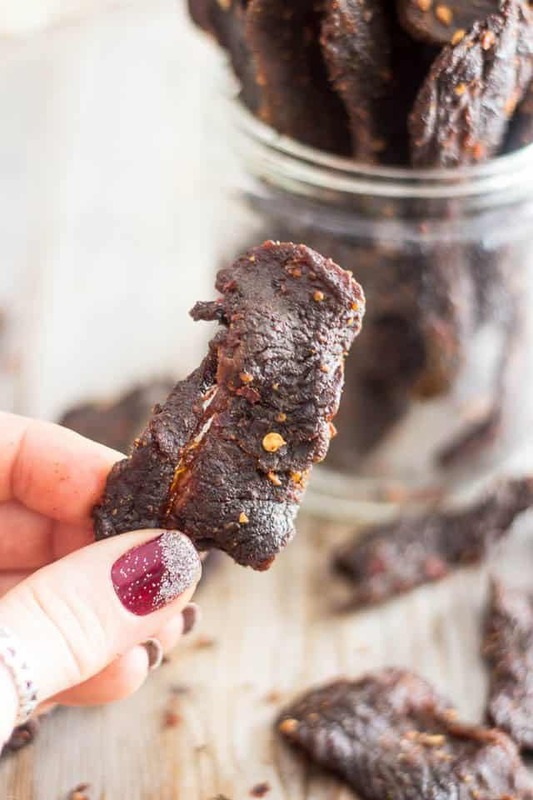 But biting into a piece of chewy jerky that YOU just made in your very own kitchen, especially when it’s still slightly warm, has something so satisfying and so rewarding about it, I can’t even explain it. It feels like you just performed some kind of inexplicable magic trick! You’re like: WHOA DUDE! THIS IS JERKY! I MEAN REAL JERKY, MAN, AND I, ME, MOI, MADE THIS! And the look on your friends face when you offer them a piece and tell them you made it? Priceless! Let’s take a look at how it’s done, or at least how I did it, shall we? 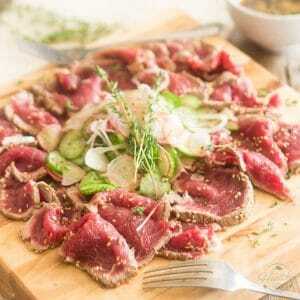 Start with a beautiful piece of lean beef and remove all traces of visible fat from that meat. I chose to use brisket, but you could also use loin, sirloin, top round, flank or any other lean cut. Always keep in mind when making jerky that fat will go rancid on you rather quickly so you want to use the leanest cut of meat possible. The leaner the meat, the longer your jerky will keep for. 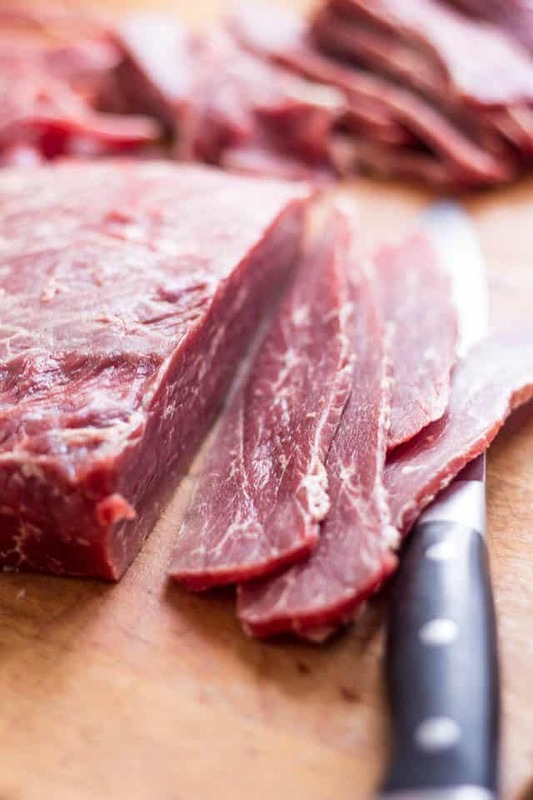 Once you have removed as much of the visible fat as you can, send your piece (or pieces) of meat for a quick trip to the freezer, say 60 to 90 minutes. You don’t want your meat to be frozen solid, you just want it to start to form ice crystals. It should be really firm but you should still be able to pierce it with the point of a sharp knife. 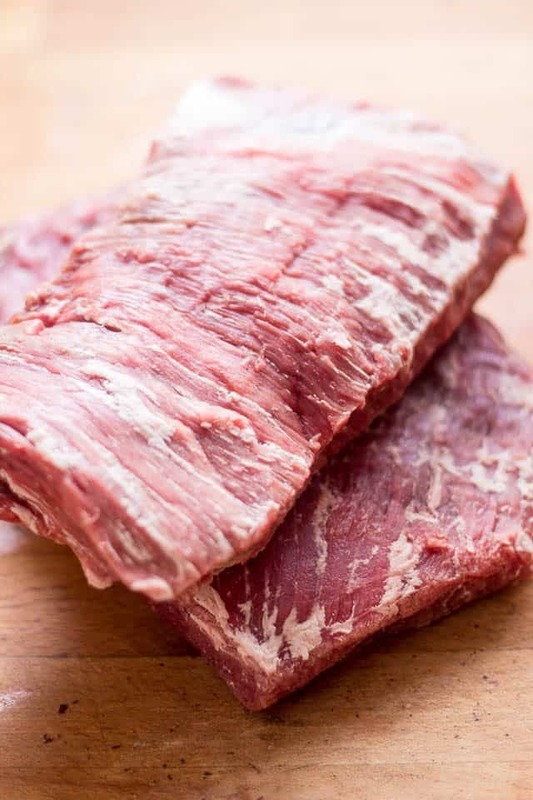 Freezing the meat like that will make it a lot easier for you to cut it into long, thin strips. Of course, you could also ask your butcher to cut the meat for you. That would save you the hassle! Place your strips of meat in a re-sealable plastic bag then pour the marinade right in. Mix everything around until all the meat is completely covered, then place that in the refrigerator and let it marinate overnight. When you are ready to dry your meat, remove the strips from the marinade and place them directly on your oven racks. No need to pat them dry really, just let the strips drip a little bit as you remove them. If you have smaller pieces that will not fit on the racks without falling right through the cracks, arrange them on a cooling rack and place that rack right over the oven rack. You can even stack it right on top of an oven rack that already has meat on it: simply have it rest on a few shot glasses or egg cups or other suitable small objects. I used a few wooden sticks that happened to be sitting there and appeared to be just the right size for the job. Don’t worry about your spacers burning or breaking, we’re not going to turn the heat all that high. Place your racks back in the oven and let the meat dry for about 3 hours, then flip it over and give it another 3 hours or so. Total cooking time depends a lot on the size and thickness of your strips. 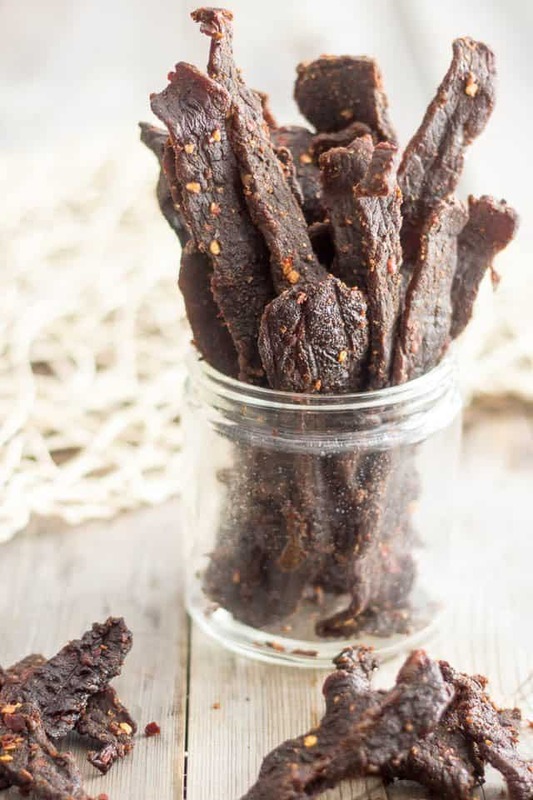 Leave the jerky out to cool for a couple of hours, up to 24, then transfer to an airtight container or sealed plastic bag where it will keep unrefrigerated for 4 to 6 months – but I dare you to keep it that long! I made that batch shortly before Christmas (hence the Festive nail polish) and it’s already gone! In fact, I just ate the last piece today. I’m starting to think I may have to invest in a good dehydrator! 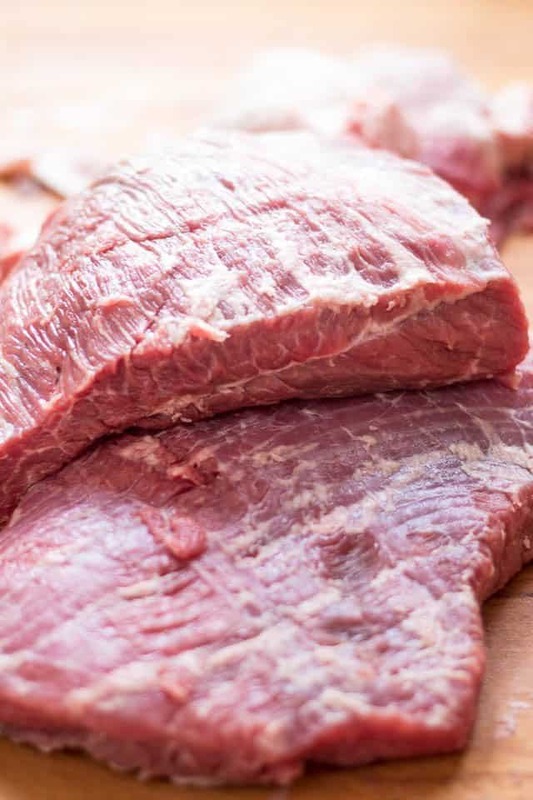 Remove all traces of visible fat from your piece (or pieces) of meat. Place the meat in the freezer for about 60 to 90 minutes, which will make it easier to slice thinly. Don’t wait until the meat is frozen solid, you just want ice crystals to start to form. It should be really firm but you should still be able to pierce it with the point of a sharp knife. VERY IMPORTANT! Before you go any further, cover the bottom of your oven with aluminium foil. Things are going to get messy! Remove the strips of meat from the marinade and place them directly on your oven racks. No need to pat them dry, just let the strips drip a little bit as you remove them. If you have smaller pieces that will not fit on the racks without falling right through the cracks, arrange them on a cooling rack and place that rack right over the oven rack. You can even stack it right on top of an oven rack that already has meat on it: simply rest it on a few shot glasses or egg cups or other suitable small object. Don’t worry about it burning or breaking, we’re not going to turn the heat all that high. Place your racks back in the oven, the higher the better, and set your oven temperature to 170F. If you have a convection oven, by all means, use that setting. Keep the oven door slightly open by sticking a wooden spoon or crushed aluminum can in the door. This will allow some of the heat to escape so the meat has a chance to dry without cooking. 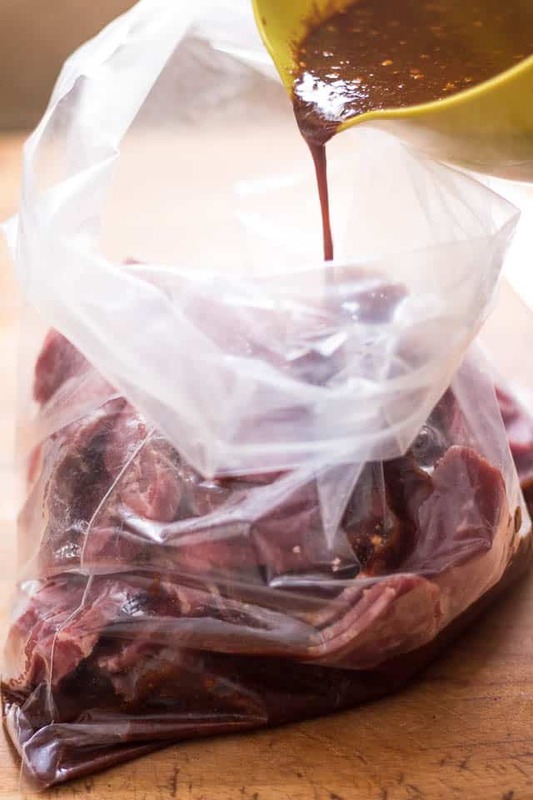 Leave the jerky out to cool for a couple of hours, up to 24, then transfer to an airtight container or sealed plastic bag where it will keep unrefrigerated for 4 to 6 months - but I dare you to keep it that long! Thanks to The Art of Manliness for being my main source of inspiration for this recipe. I’ve been waiting for this recipe since you posted the picture on your FB page back in December. It was definitely worth the waiting though. 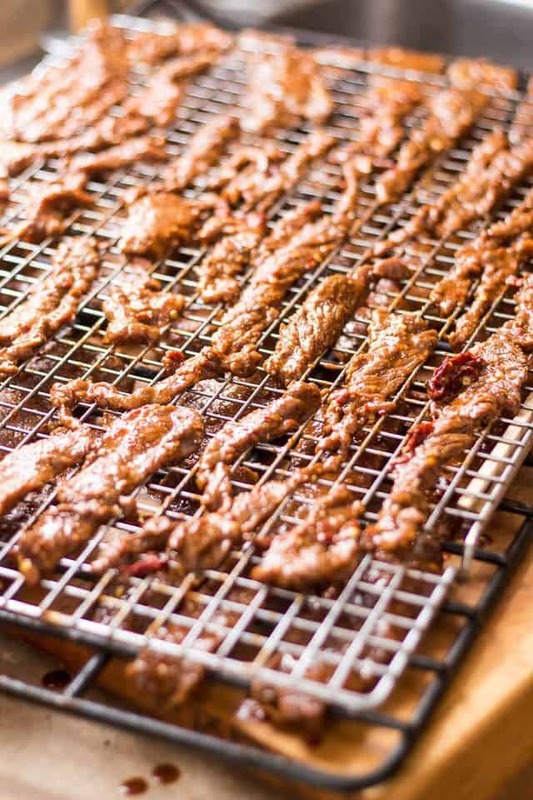 I love beef jerky and I can’t honestly wait to try make it at home. This is going to be next weekend’s project. YAY! Ohmygoshohmygosh you are my favorite! My hubby LOVES (like as in is obsessed with) beef jerky and he is gonna love me for making it for him. I mean, I think he loved me before since he did put a ring on it and all, but he is gonna love me even more. And, it’s not even that hard! You win. I <3 you. And this. My husband and I make jerky with deer meat…I didn’t think I would like it, but you really can’t tell the difference and deer meat is really lean. I can’t find where it says the temperature the oven should be to dry the jerky? The oven temperature is mentioned at point #8. You could even go lower than that, like 150F or 160F, if your oven will go that low. And make sure you leave a crack in that door for air circulation! I am dying to make this! I was on a road trip to the Grand Caynon over Christmas and was just lamenting the fact that the ingredients in jerky are appalling. I got some anyways, mind you, but I am clearly still disturbed! You jerky looks so easy. Did it make your oven a complete mess to clean? I’ll have to make sure not to skip that important step then! I’m super excited to try this! My Husband is going to be so excited! If I were to use my dehydrater, just follow all the steps and instead of putting it in the oven, put the dehydrator on? I’ve been wanting to make jerky forever. Just haven’t done it yet. Thanks for the info! 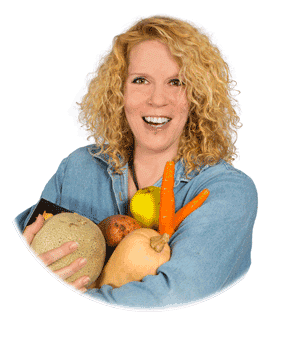 By all means, Janis, if you do have a dehydrator, use that instead of the oven! Just follow the instructions that came with your dehydrator. I have just put a batch on, could not get grass fed meat so i hope it will be ok. I am a bit worried about the strong smell of the Balsamic vinegar, hope it does not over power the taste? I can’t wait to taste the finished product, I taste tested the marinade before putting it on the meat and it is AMAZING. I’m using my dehydrator for this for the first time so I hope it turns out good! It turned out wonderful! I put it in the dehydrator in the evening and checked it in the morning and it was done, so about 12 hours with my dehydrator. This tastes SO GOOD, thank you! Hey I’m going ro try this recipe in the dehydrator and it’ll also be my first time using the dehydrator. My little insert says beef jerk takes 5 hours on high. I don’t want to under or over do it, what, temp did you use to cook it for 12 hours? I’m very happy for this recipe and with it I’ll be a hero for my family. Once again you have me wanting to make the 15 minute trip to the store for the second time in one day. Must comment on the cute nail job. My son’s birthday is next week and this will be a great gift. Thank you for all of your posts. Just made this and it is very good. 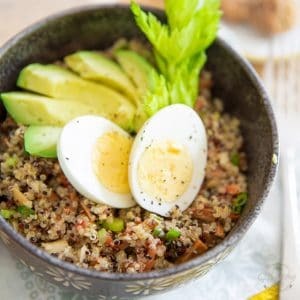 Has anyone used this recipe with ground beef? 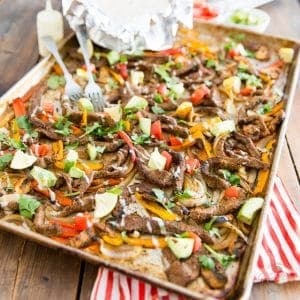 I’d like to try but am not sure how much meat would be needed for the marinade (or even a measure of how much prepared marinade per pound of ground beef). Any advice? Everytime I have tried to make jerky from ground beef it has always come out greasy no matter how lean off beef I use! Just use beef steak or roast brisket has a lot of fat it’s tough I would just use eye of round can find it cheap and your not paying for fat like you would with brisket! Great site! I have made jerky in less then 12 hours from start to finish! 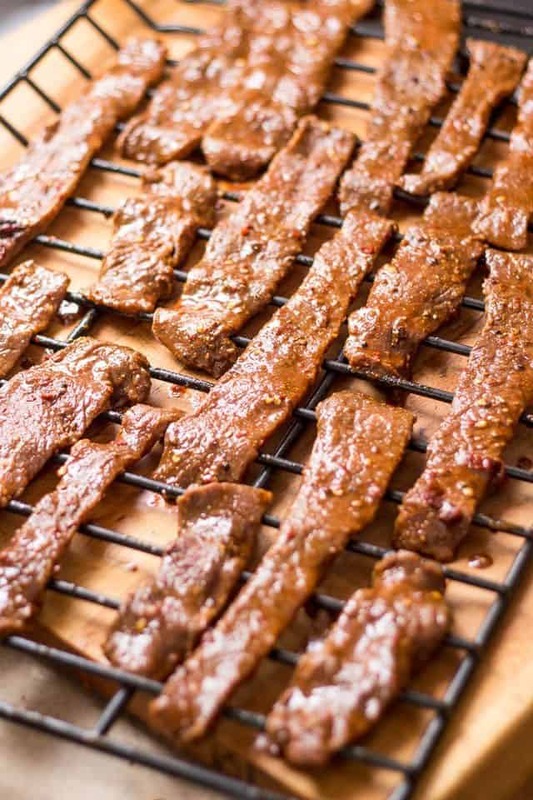 Do you have a recipe for a non-spicy jerky? A terriyaki jerkh perhaps.. Sorry, Erica… that’s the only recipe for Jerky I have! Me thinks I should get working on another variety… Teriyaki you say, eh? Note taken! 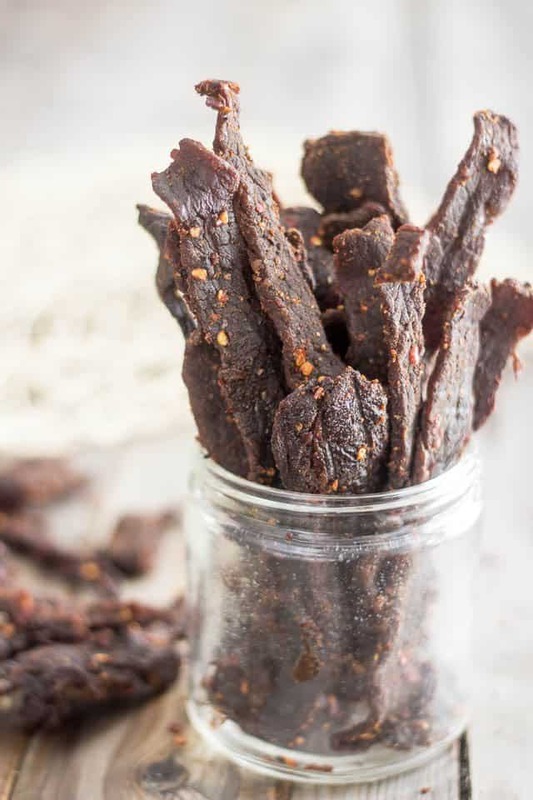 You can make any flavor of jerky you want off of this recipe. Just remove and substitute whatever you want. If I am making a crispier jerky I like salt, pepper and garlic powder no marinade. If I am making a chewier jerky I mix 2 parts soy sauce and 1 part liquid smoke (with salt and pepper to taste) as my marinade. It would be similar for Teriyaki. Teriyaki, soy sauce, liquid smoke, Worcestershire sauce, onion powder, garlic powder, salt, pepper, brown sugar, honey or maple depending on the brand you normally like. You can even add “local flavor”. For example here in new mexico people often add red or green chili to their spicing or marinades for jerky. We’re to get liquid smoke? Most grocery stores carry it, Lavina. It’s easy to make start small add what taste good to you! Add what you want if your wanting more of a Hawaiian then add pineapple juice to the soy and sugar and other items as needed! Making jerky is easy I tell people what do they like on there steak? Then tell them to add that to there jerky! Also eye of round is better to use then brisket as the brisket has a lot of fat in it and you spend more money and time cutting fat then anything! My background I have been making homemade Jerky for about 22 years! I have even found a great recipe for a 12 hour jerky that is with dry time if you use the dehydrater! Also if you have the Marinade in your area! I really like your idea, Bryon, I think I’ll give it a go next time I make jerky. I have tried hanging strips of meat directly onto the bars of the grill and it worked great, but I like your idea better! As for using Worcestershire sauce instead of fish sauce, you won’t be getting the same flavor, but it can be done for sure. You might have to adjust the amount of salt, though. Maybe add an extra tablespoon? Sir a dehydrater is cheap and easy to use all of will cost less to operate! Have medical issues then look for other natural sweeteners like agava and many others! It’s easy and will taste good on your jerkyy! Also use eye of round not brisket or your just spending money on fat! I had frozen half of a beef tenderloin that I was able to buy on sale…it is really lean, do you think it would work? I’m so excited to make my own jerky! I LOVE BEEF JERKY, and this looks really good. Can’t wait to try this recipe. Hope you like it, Tim! 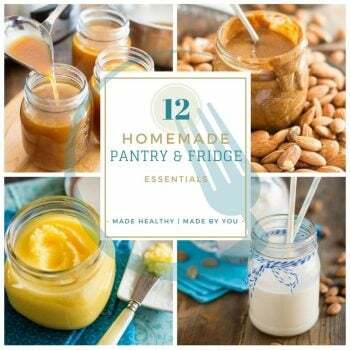 Bet you’ll never buy store-bought ever again after you’ve made your own. It’s like a million times better! Oh, I know. I’ve been making my own jerky for years. I’ve been a meat cutter/fish monger for about 34 years now and I’ve seen a lot of recipes over the years, but your recipes is one the best looking ones I’ve seen. I will be making some next week; I’ll let you know how I did. Your recipe sounds great though I noticed you said that you were making this with no nasty ingredients and yet you used liquid smoke. Please clarify this for me as every website I’ve been on it says that liquid smoke is one of the worst products you could put into your body. It’s carcinogenic! If you believe otherwise or know otherwise please tell me as I believe the liquid smoke makes a huge difference in the way jerky tastes but I really don’t won’t to risk my families health. Also is there something I could use other than liquid smoke. I don’t mean to be rude but I’ve just heard and read so many bad things about it. I had never even been aware of that, Vicky… I guess I don’t use liquid smoke often enough to have researched it through and through. I did do a little bit of research this morning and came across this video. I don’t know about you, but after viewing it, I’m not thinking that I need to remove liquid smoke from my list of “safe to use” ingredients. Smoked salmon, on the other hand… now THAT I will have to research more extensively! If you’ve ever been around a car that’s running (or driving with the window down) then you’ve ingested more carcinogens than you’ll get with a little bit of liquid smoke. Most things we consume, if in large enough proportions, can be identified as carcinogenic. The tests for the pathology are made using rats and mice and they’re injected with grossly in-proportionate amounts of the substance compared to their body weight. I realize this post is very old, but I appreciate the video. Wow, I had no idea smoked meats/fish would be so bad for us. Guess I need to rethink some of the foods I eat. What a great idea! I hope he likes it, K! I’m going to try this using Tahr Back Steaks.What do you think?Shall I cut it on an angle like you did? Might need to age the meat for a while but it is only a 3 yr old animal so not as tough as they get. Let me know how your jerky turns out! We found that putting aluminum foil on the bottom of your lowest baking rack is much easier than trying to line the bottom of the oven. We initially tried that but the heating element melted a good bit of foil. True that… if there is an element at the bottom of your oven, then I suppose it’s best you put the aluminium foil on the lowest rack! SO you complain about chemicals in the beginning and then your recipe calls for liquid smoke, which is a chemical to make meat taste smoked, hmmm contradicting yourself on that one? Please research your ingredients that you add to your homemade stuff because it could have chemicals too!! Oh but I have researched that ingredient, Marquetta. This video and that article were among my favorites. I have personally decided that I was very much comfortable with consuming tiny amounts of liquid smoke every now and then. Now if you feel differently about it, you’re free to leave it out! I use real smoke so no liquid smoke. I have an old single door frig. converted into a smoker. Almost any enclosure will do. A 250 watt infrared light bulb (the red type not the white) placed about a half inch from a piece of hardwood will produce smoke for hours and never ignites. A 4 way split piece of firewood works great. Caution, if liquid drips on the bulb it will break, I bend a foil pie plate to use as a cover. Im definitely gonna try and make this, although I want my jerky a little more chewy. 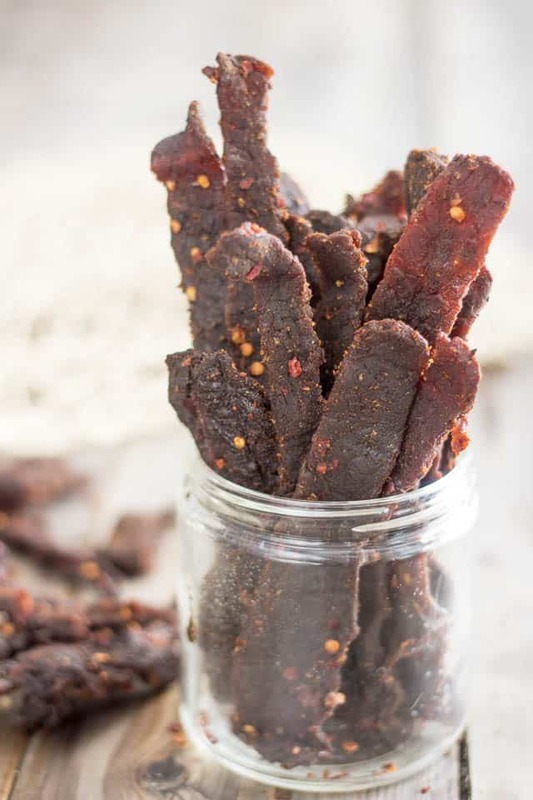 Jerky is available (but expensive) in the UK, so I’m excited to try this recipe out! This website, together with the relevant links you provide in your discussion, is the best jerky website I have seen – I am new to the jerky game, but this will be my main reference point – thank you! Did you really refer to soy sauce as nasty and unhealthy and than include liquid smoke and “himalayan sea salt” in your recipe? Guess you are going to tell us how much less sodium (salt) your himalayan sea salt has….. Sodium is sodium. Not to mention liquid smoke is mostly salt and water…. Thank you for the recipe, I cant wait to try it! Although i am wondering, what is the alternatives for placing meat strips on oven rack? I worry it would be hard to clean later. Is there other ways? Have you experimented with putting a dry rub on the meat after marinating it? I would have thought this would give an extra layer of flavour and give a greater scope for flavour combinations. Great pics in the recipe. I never felt the need, Michael. This thing is plenty tasty as it is. Frankly, I would do one or the other, but not both. Sonia.. ! 🙂 The pictures in the post are increasing my appetite. Yummy. Time to cook and turning on my dehydrator. You have made things easy for me.. Not to forget. Sonia, your blog is awesome.. It is simple and conveys the message without any distraction. Like the design and the content structure made things easy. I live i hong kong so worry the heat may spoil it. Can you freeze it? I do this with the jerky i currently buy and it works well. Absolutely, Cat. That wouldn’t be a problem at all! Trying this with elk steak..love spicy food, I’m excited! Thank you. I asked the butcher at a store to slice 3lb of lean beef the way you recommend. He couldn’t make it as thin as in the pictures, so it is a bit thicker (1/2 inch). I made the marinade on Saturday. 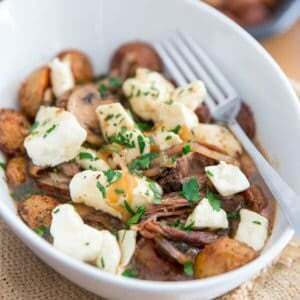 It is SO GOOD that I can see using the same marinade for other recipes (crock pot roast beef, for example). It was so good that I also used a little of the marinade when browning some ground beef. I topped the ground beef with a little crushed pineapple and guacamole and it was AMAZING. I marinated the sliced beef Saturday night and Sunday night. Monday (yesterday), I thought of a way to make it without dirtying the oven. I lined a cookie sheet with foil & put a cooling rack on top. I placed the beef on the cooling rack & baked at 170 with oven ajar for about 4 hours, then flipped for the last 2 hours. It finished Monday night & I left it out to cool until this morning. It tastes great! My toddler and husband like it, too. I have the second batch in the oven now. There is still a little more that I might just cook on a pan instead of making a 3rd batch. Thanks much for taking the time to share. Now you had me wanting to whip up a batch of jerky! hi Sonia, i was wondering i’m allergic to peppers, can i leave out the pepper in the recipe is it there only for flavor? You can totally leave them out! Your jerky won’t be as spicy, that’s it! thank you Sonia! i shall have to try these. My first batch just finished drying. OMG, it is amazing! I liked beef jerky before, but I LOVE this stuff. Thank you for these instructions, awesome as usual! I’m transitioning to primal eating style, and it doesn’t get any more primal than watching long strips of the “kill” hanging up to dry. I took the suggestion of one of the commenters and used skewers to simply suspend the beef strips from the rack in the oven. Brilliant idea. That way a 2-lb batch fits super-easy (could’ve probably fit double the amount), only one rack required and no flipping. Hi! This looks amazing! Was wondering if you could use turkey or chicken instead? Have you ever tried it with other meats? I’ve never tried it, Lauren, but I really wouldn’t see why not! I will try turkey and report back! Thanks! Awesome! Can’t wait to find out how it went! This is gorgeous Sonia! What an awesome photos… love it. My husband loves beef jerky… Cannot wait to try this. Fingers crossed. Thank you so such for posting it. You are very welcome, Linda! I hope this turns out great and that your husband likes it! Keep me posted! Omg Sonia! Love your recipe and I’ve made it over 10 times now w half the spice and always doubling your recipe. So delicious and thank you for creating it. Yes! I’m making about 20# this morning as my clients n friends love it! I use a Excalibur 9 tray so I can do 10# at a time. I go much less on the chili flakes and it’s delish! My latest fave meat is the black angus flank from Sams Club. Plus my nutritionist always encouraged me to snack on jerky. I’m a realtor n always on the go and it’s so incredibly handy. Hello from Denver ;). Thanks again! Oh..my…yes!! There is no language to say on your nice writing!! Sonia!! At first I am so glad for your complete writing on homemade beef jerky! 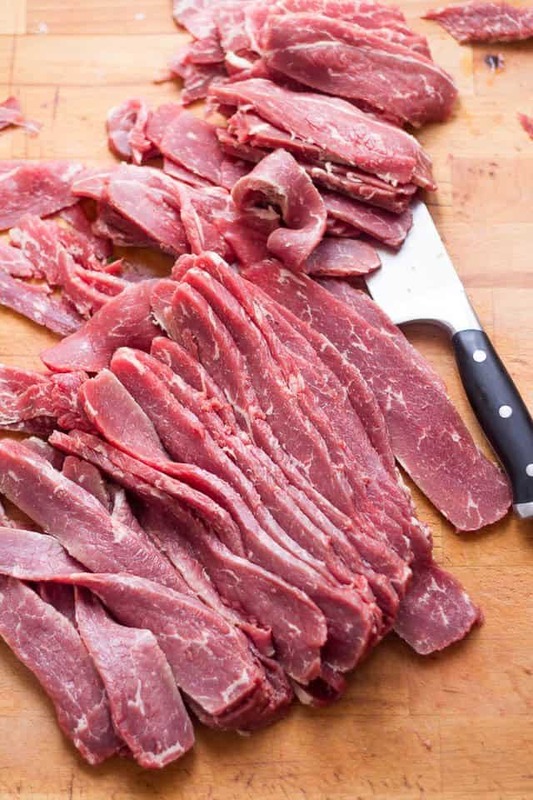 My day is nearly over and your post has taught me lots about on beef jerky.Really nice writing, pic, different cuts, specially thankfully on sharing print link. Thanks!!!!!!! Are the oven racks a mess? Step 6 refers to foil on the oven bottom. Also I tried some store bought jerky flavored with Sweet Baby Rays barbecue sauce and it was divine. Any suggestions on how to accomplish something similar? Sorry Martha, I am not familiar with that barbecue sauce so I wouldn’t be able to help. As for the oven racks, they’re not what I would call a mess. DON’T skip the foil on the bottom, though! Cuz then you’d have a serious mess on your hands! 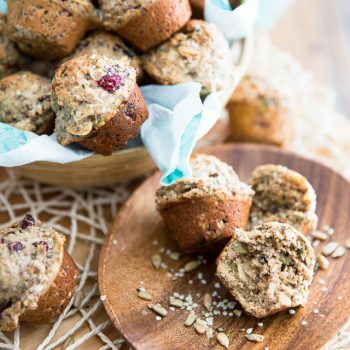 I took this recipe and I will definitely try to make it, I need only one advice from you. I don’t eat spicy food or salty food and when I buy Jerky I buy natural and law salt. Can you advice me a recipe for a marinate that will do just that? Also how is the taste of the jerky when I dry it directly and without season? I have just made the marinate and OMG …. it has a nice amount of spice to it but not overwhelming …. Absolutely GORGEOUS flavour. I’m now just waiting for my beef to harden a little more and will then baste it for 24 hours in the marinate. I had to change a couple ingredients as my local store is small and doesn’t stock some items. Instead of Liquid Smoke, I used a Smokey BBQ sauce which when I tasted the smokey BBQ sauce on it’s own, reminded me of the flavour in the beef jerky that I usually buy. THANKYOU sooo much for an amazing recipe Sonia… I’ll let ya know how mine works out once it’s finished drying. My husband is in the Air Force so looking forward to putting this in his care package since jerky can be so expensive! How long does this last? And what is the best way to package it? Wonderful! I just wanted to make sure that it didn’t go bad after a week or so because it doesn’t have preservatives in it. Thank you! Just made a batch. Up to 6 months you say?….. I doubt it’ll last the weekend ???????????????????????? Hi please can you advise if I can use Olive oil or any other oil for this recipe ? I forgot to get sesame oil and am not going out shopping again for a while. You definitely want to discard it, Jani! Enjoy the jerky! Been wanting to make this recipe since saving in my Jerky Board. I make a lot of Jerky but didn’t have the Fish Sauce or the Dried Chipotle Peppers. Living in New Mexico you would think easy. Easy yes, but finding a reasonably size quantity, no! I make and smoke all my Jerky in my Green Mountain Grill. I marinated the meat overnight. Smoked for 4 1/2 hours at 165F. Removed 30 minutes ago, but couldn’t resist sampling. 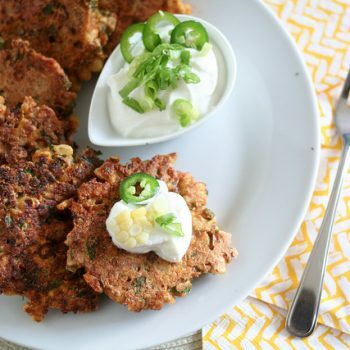 This recipe is a “Keeper”! Wish I could have added a before and after photos. Thank you so much for this recipe . My family addicted to it. This is the best recipe I’ve ever made for them. Love it! I have ic and thought this looked great. I made it with avacado oil and salt since I’m so sensitive. Weird thing is the jerky automatically made my bladder hurt. Why would that be? Could Drhydrating be changing the composition of the meat so that it’s not ic friendly? 1 heaping teaspoon of seasoned meat tenderizer.